Good News! Because You’re Here Before Others!! Riverfront Living – It offers more than 200 m of riverfront view. Greenery – It also offers greenery views. Many Schools – It is good for family living. Serenity – It is nestled in the quiet residential enclave. 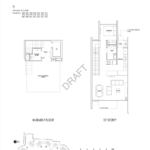 High Demand – It is located in a sought after residential district. Total No. of Units 1,472 Units in 9 block of 17th Storeys, inclusive of 21 units of strata landed houses. Riverfront Residences a 1472-units waterfront development located next to the Serangoon River, for and is poised to benefit from the government’s initiative to transform the river into a lifestyle hub. The development will have lush landscaping that blends seamlessly with the waterfront promenade. 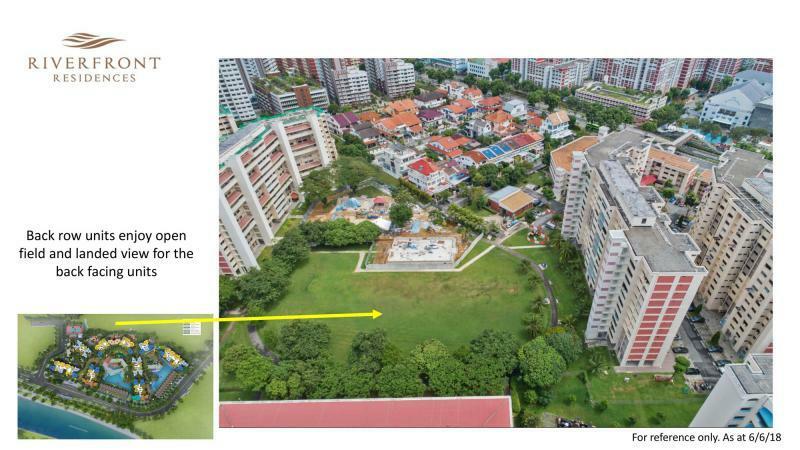 The Riverfront Residences is also located near prestigious schools and minutes away from Hougang MRT station. Riverfront Residences has 9 Blocks of 17 storeys high towers which also offers myriad facilities and residential unit types, from 1-bedroom, 2-bedroom, 3-bedroom, 4-bedroom, 5-bedroom apartments and strata houses, it will cater to all lifestyle needs and set new standards in luxury living high above all other developments. 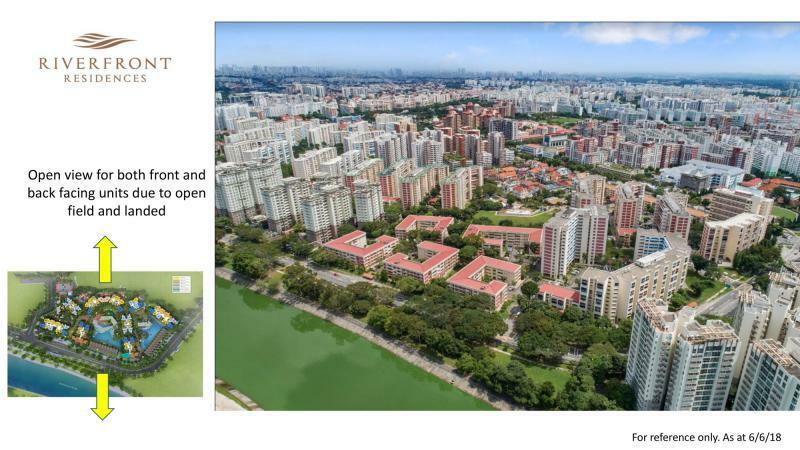 Riverfront Residences (former Rio Casa) is located along Hougang Avenue 7 and fronting the Serangoon River. 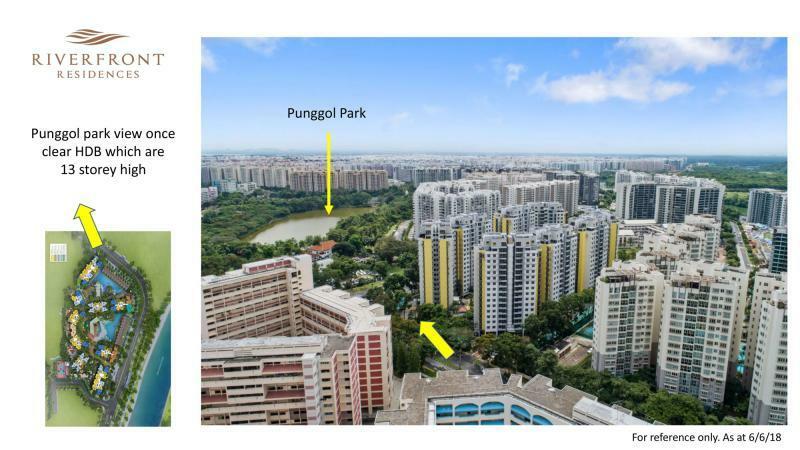 The Serangoon Park Connector (PCN) will connect Riverfront Residences all the way to Punggol Park as well as Coney Island and Lorong Halus for a active lifestyle. Riverfront Residences is nestled in Hougang , a matured estate in Singapore. With the Singapore government master planning, the hougang district will enjoy a myriad of facilities along the punggol park. There are many schools around the vicinity which allows school going children to get to school with ease. With the Riverfront Residences well located in Serangoon, there are many amenities, food, entertainment and shopping options at Hougang Mall, Heartland Mall and Compass Point. The MRT stations are also in close proximity; Hougang MRT and Kovan MRT. Residents can take a short drive to Marina Bay by the Kallang-Paya Lebar Expressway (KPE) or Central Expressway (CTE) to the city center and Orchard Road.